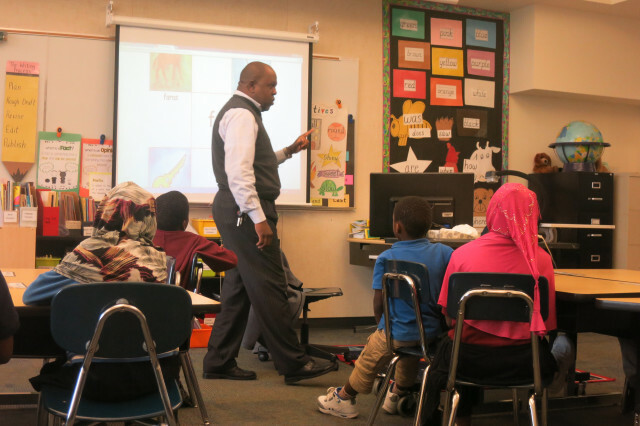 Teacher Salaad O’Barrow is teaching two Somali languages in a class that administrators hope will address low achievement and high dropout rates in students by strengthening the connection between Somali students’ families and the school. O’Barrow’s class teaches both the Maxaa language and the lesser known Maay-Maay. The class includes both languages of the Somali community, whereas other classes in the country have only taught Maxaa. The classes are bi-weekly and teach basic words, including Maay-Maay words students might have learned at home, using pictures. Portland plans to implement the dual-language program in two more schools this fall and is considering Madison High and Harrison Park K-8.